This is my favorite road sign in Kenya (so far). 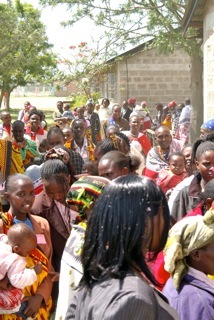 Duka Moja is a small village in the Rift Valley half way between nowhere and lost. (Okay, it’s actually on the REALLY, REALLY NICE new highway between Maai Mahui and Narok.) 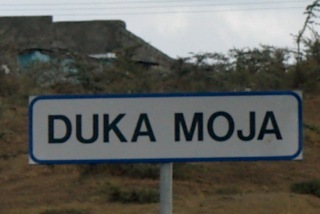 But I think it’s funny because “duka moja” is Swahili for “one shop”. So whenever I drive past this sign (fairly often the past year), I think of the segment on the old Hee Haw show: “Goosepimple Junction, we salute you!” And I laugh.